A standard jeweller’s window display – a sea of white metal which can be very confusing for the consumer. So you’re thinking about purchasing a special piece of jewellery. You’ve started to take note of the jewellery the recipient already wears and through that research you’ve come to the conclusion that they like silver coloured metals best. You’ve gazed at several jewellers’ dazzling window displays, and you’re now totally baffled by the range of sparkly white metal pieces that all look the same but for some reason have vastly varying price tags. You’ve had conversations with your friends about white gold and ‘dipping’ – what does that even mean?! Everyone seems to think platinum is the best, but you have no idea why and what about palladium? You’ve never even heard of that! It seems that white metals are the centre of a whole heap of misunderstanding and confusion which I feel is down to mixed messages coming from high street jewellers and ill-informed friends and family trying to help you out. In this series of posts, I hope to clear up the confusion and give you the facts about these precious metals. Silver has the lightest and brightest appearance. 9ct white gold has a creamy, yellow-tinted hue in contrast to the darker, more gunmetal toned 18ct white gold. Of course, you don’t regularly see white gold in it’s natural state on the high street – I will go into more detail about this in the second article in this series all about white gold. Platinum and Palladium lie somewhere in between silver and 18ct white gold in colour – darker than silver but brighter and whiter than 18ct white gold. First off, let’s look at Silver – an often overlooked metal because of its prevalence and the fact that it oxides quite readily. It is the most reactive of the precious metals in terms of ‘tarnishing’, and this is because of the copper content in its makeup. You will usually see silver items and jewellery advertised as Sterling Silver, which is an alloy of silver made up of 92.5% silver (hence the 925 mark) with the remaining 7.5% usually made up of copper. 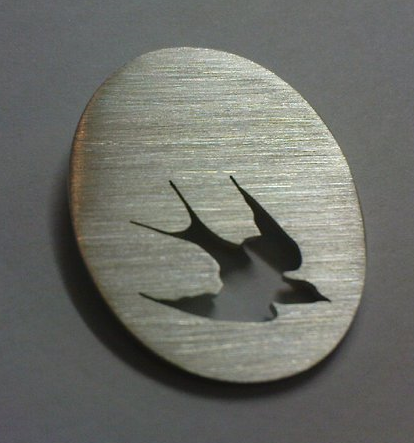 The reason for this addition is to increase the durability of the metal as Fine Silver (which is 99.9% silver) is considered too soft for general purpose. 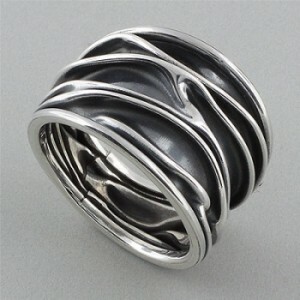 You may also see Britannia Silver, which is 95% pure silver with 5% other alloys. Silver tarnishes when unworn or is in damp conditions. This black-brown stain on the metal is easily polished off using special cloths impregnated with polish available from jewellers or online. 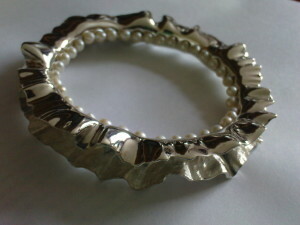 Stubborn tarnish, especially on matt or satinised silver, can be removed using a chemical silver dip, but you must not use this technique if the piece is set with porous stones such as emeralds or pearls. 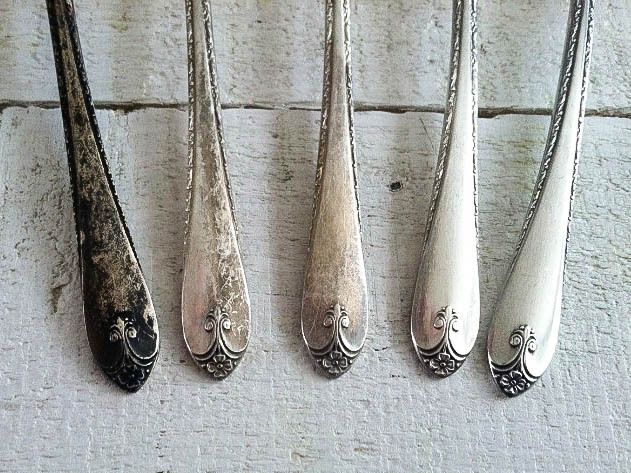 If you wear your silver jewellery regularly, you will not have this issue as the oils in your skin and the constant burnishing the metal will receive from everything it comes into contact will prevent this from occurring. The best way to store silver jewellery when it is not being worn is to wrap it up in a cloth and place it inside an airtight bag to stop it from tarnishing. Argentium silver is a modern development which swaps some of the copper content for a metal called germanium; this increases the metal’s resistance to tarnishing and also reduces the risk of fire stain developing. 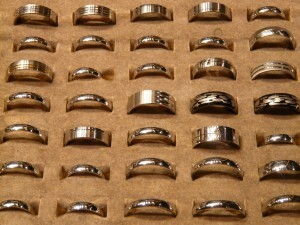 Fire stain is the scourge of goldsmiths; a subtle oxidisation on the surface of the metal which sometimes occurs during soldering and can only be removed by intense polishing or plating to cover the mark. Sometimes oxidation can be used to great effect to emphasise a design; this ‘crushed band’ has blackened using a special fluid which gives the appearance of oxidisation. This works really well on textured pieces like this – the blackened parts seem deeper when darkened, therefore emphasising the design. The highest points are polished back to give a gorgeous contrast. 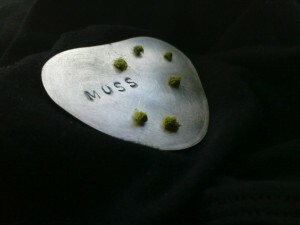 I used this is my Moss Collection to give depth to the stamped typography. Silver is a beautiful precious metal; it has a gorgeous bright blue-white hue that works well with a wide range of skin tones and a stunning natural lustre which has made it a popular choice since the 13th century. However it is the softest metal out of the selection of precious metals available to you so you must take this into account when purchasing a piece made of silver. Earrings and necklaces rarely come into contact with anything other than the wearer but rings and bracelets need a little more consideration. I would not recommend setting a valuable gemstone into a silver ring because it dents, bends and scratches very easily. If you’re looking to have a silver ring made, you could always consider having the setting for any stones made out of another more hard wearing metal. 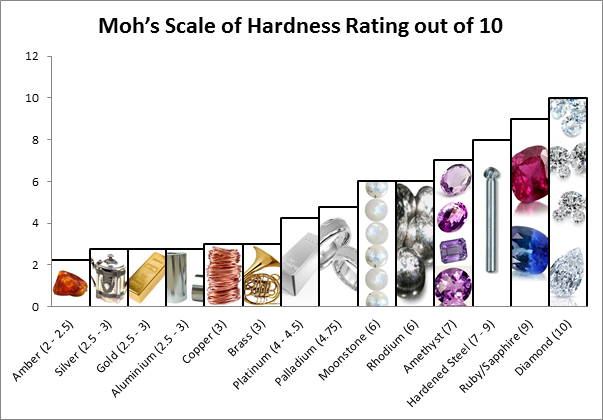 Before we go any further, let’s discuss the durability of precious metals. 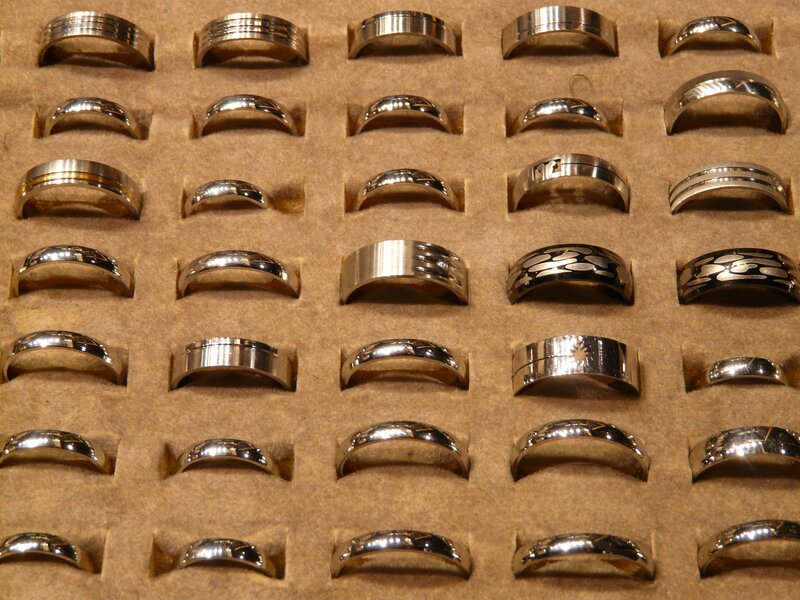 Any precious metal will accumulate dents and scratches as it is worn – rings in particular. Each time your hand comes into contact with a door or drawer handle, cutlery, keys… anything made of a harder substance, it will collect marks. You’ll notice the first one as it will stand out like a sore thumb but as the marks become more consistent, the resulting patina will not look ‘scratched’, more ‘lived in’. 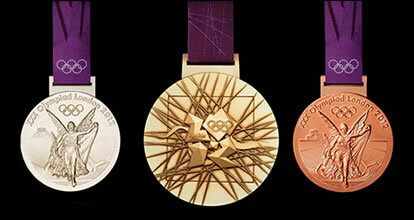 The funny thing is that jewellery with a satinised finish will actually show marks more clearly. Both polished and matt pieces will eventually burnish to a dull shine over time. The key to longevity in jewellery, particularly rings, is to make sure there is sufficient depth to the piece for it to be able to survive a lifetime of knocks and scrapes. No matter how careful you are, it is impossible to keep a ring in pristine condition unless you keep it in a safe and never wear it and where is the fun in that? I have a beautiful silver ring I have worn every day for the last five years – it has a lovely tactile texture which disguises all the dents and scratches it receives through wear and tear. This ring has a tiny diamond set in a gold rub over setting which gives it a little more protection than a silver setting would. It’s a chunky piece, at least 2mm deep and it is starting to get slightly thinner at the back of the ring but not to a level where it has become a problem. The best thing you can do to prolong the life of your jewellery is to take it off when you are doing something that puts it at risk. …it has been used as currency and a regal choice for ornaments and tableware for centuries. These days, it is more commonly used for ‘everyday’ jewellery rather than fine jewellery and is the metal of choice when goldsmiths are training as it is not too expensive to replace when mistakes are made. That being said, it is an enjoyable metal to work with and is a lovely metal to wear.